SABI magazine was established in 2008, with the aim of sharing irrigation knowledge and increasing awareness of water conservation in agricultural, environmental and the broader public arenas. Based in Cape Town, SABI magazine, however, explores issues nationally, and presents its readers with stories on a variety of irrigation and water topics in South Africa and abroad. SABI magazine is circulated to farmers in all the provinces of South Africa, as well as irrigation and water professionals and companies in South Africa. SABI magazine is also the official journal of the South African Irrigation Institute (SABI). Based in Cape Town, SABI magazine, however, explores issues nationally, and presents its readers with stories on a variety of irrigation and water topics in South Africa and abroad. SABI magazine is circulated to farmers in all the provinces of South Africa, as well as irrigation and water professionals and companies in South Africa. 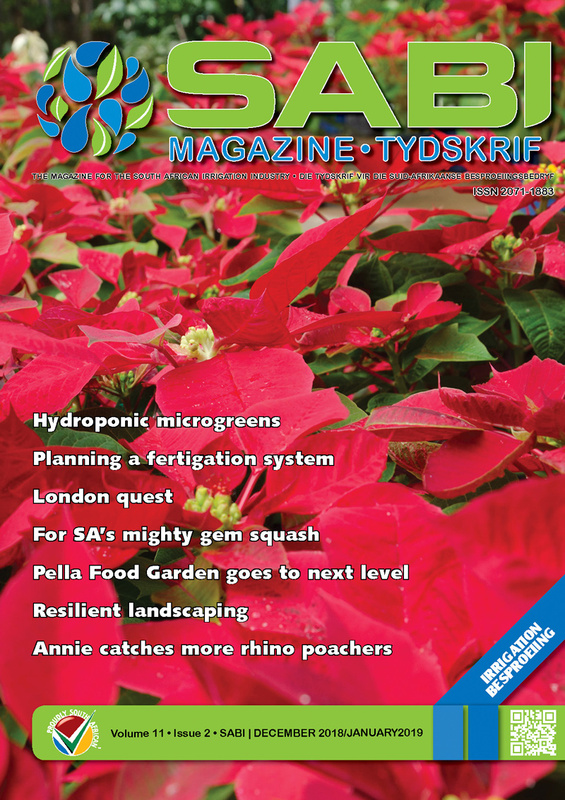 SABI magazine is also the official journal of the South African Irrigation Institute (SABI).